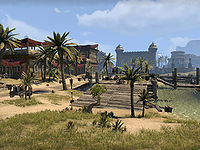 Port Hunding is a city at the center of Stros M'Kai. 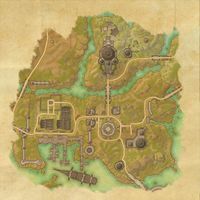 Port Hunding Objective: This privateer base is the main town on Stros M'Kai. 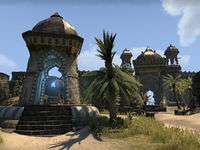 Port Hunding Wayshrine is located outside the walls to the west of the city, east of Bthzark on the road to Saintsport and Rash Merchant's Plummet. It is unlocked as soon as you arrive on Stros M'Kai., and its Discovery XP is added to that of Port Hunding.